This is the reflection I wrote for my Church’s Lent Prayerbook this year. Its about Ash Wednesday, but its Lenten themes remind us of the spirit of this season, as we move into Holy Week next week. Ash Wednesday is the beginning of Lent, the time in which we turn the volume up on the dark whispers and hauntings in our souls that we spend the rest of the year trying to drown out. It is the season where we feel the gravity of our weakness and finitude. And Ash Wednesday particularly focuses on where we are most weak and most finite: our mortality. Hundreds of millions (perhaps billions?) 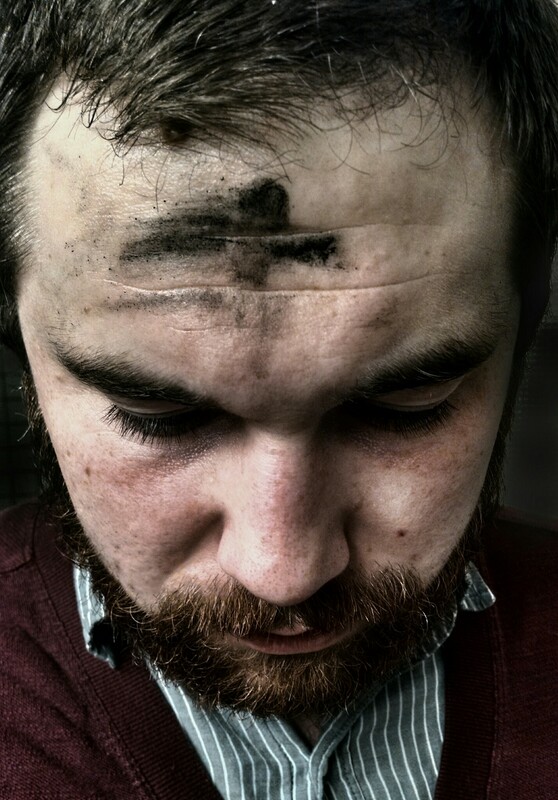 of people will gather today to take on what I feel is one of the most packed symbols of the historic Christian faith: the placement of ashes in the shape of a cross on their forehead. We are called in the ashes to begin this process of mourning our seeming slavery to Sin and Death. In the Ash Wednesday service, we hear the words, “remember from dust you came, and to dust you will return.” Ashes are a symbol of suffering, lament, tragedy, repentance, and mourning. It’s significant, however, that this ashen reminder of our mortality adorns our head in the shape of a cross. This reminds us that our God–our Jesus–meets us in our ashes; he meets us where we are most fundamentally weakest and unable to save ourselves: we will die. The Dust is the Christian image of what we’re made of and will become when we die. The Cross is the sign that God has met us where we are most vulnerable, weak, fearful, and needy. It is where he endured what he intends us never to taste. As the season goes on, we start off with the biggest scope of our weakness–death–and slowly narrow the focus upon our day-to-day idols and finitudes, feeling their weight and grip upon our lives. We go without something, so we might be filled with Christ. We feel the tension build and build within our souls, feeling the anticipation grow until that happiest of moments comes, our Christ is raised, and we freely celebrate the breaking of these tensions and curses. But that’s Easter; we’re not there yet. And so, as we fail and falter, dawdle and doubt, may we be reminded once more that this is not the season of our accomplishment, but rather the season of our anticipation–of hope, of longing. More important than our spiritual “success” in the things we put our minds to in these days is the anticipation that our God meets us most where we need Him most–our weakness, our death, and our sin.